Keep calm and carry on. 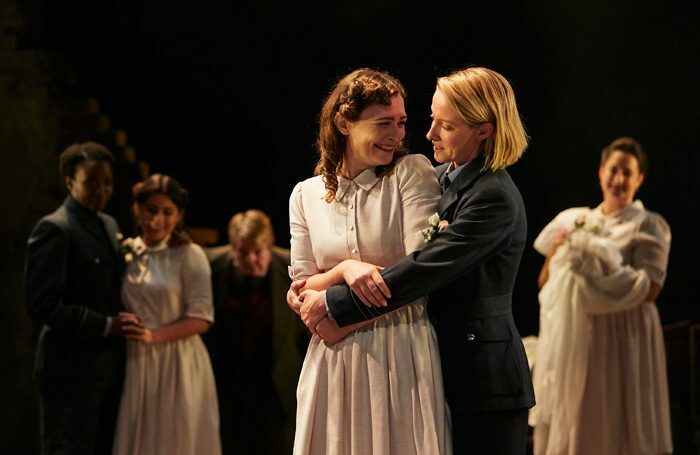 Brigid Larmour’s Second World War relocation of Much Ado About Nothing returns much of the original meaning to this now-clichéd phrase with a thoroughly entertaining take on Shakespeare’s comedy celebrating the ingenuity of women in wartime, both onstage and off. Set in a bombed-out auditorium, the all-female production pays homage to the Osiris Players, Britain’s first all-female professional theatre company. With the cast attired in RAF blue, the staging suggests a stolen moment of fun and friendship away from the realities of wartime austerity. Emily Tucker’s Beatrice epitomises this light-hearted attitude. Paired with Anna O’Grady’s jolly, sauntering Benedick, this is a particularly sweet – but never saccharine – version of Shakespeare’s warring lovers. Their flirtatious banter pitter-patters down, with O’Grady radiating mirth over melancholy. Indeed, it’s the performances in general that make the production so much fun to watch. Nyla Levy and Pepter Lunkuse are a delicate and youthful Hero and Claudio, but they still find the sting in the cruelty of the wedding scene. Rebekah Hinds, meanwhile, is a brilliant, bottle-swiggin’ and proper cockney Borachio. She then segues into being a sultry, 1940s soul singer as Margaret. 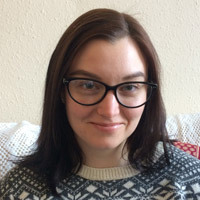 Like Hinds, Elly Condron as Don Pedro/Watchman and Joanna Brookes as Dogberry offer many moments of genuinely funny comedy. Dad’s Army and Shakespeare might not seem like natural bedfellows, but Larmour’s mash-up has all the slapstick charm of the ragtag Home Guard unit, plus just the tiniest hint of sadness: the preciousness of joy against the realities of the war.